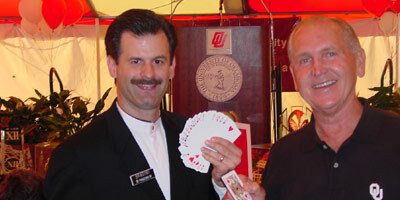 Professional Corporate Magician, Illusionist, Speaker and Entertainer Brad “BRADINI” Evans transforms your ordinary event into a “WOW, That Was An Amazing Event!” With more than 30 years of performing experience, you can be guaranteed that your group will be thoroughly amazed and entertained with one of BRADINI’S customized presentations. 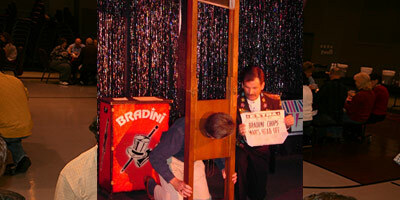 Call Brad “BRADINI” Evans NOW 918-857-4645 to book your event today. Please check out my website to find out which amazingly entertaining program is right for you. Click on Shows for more information. 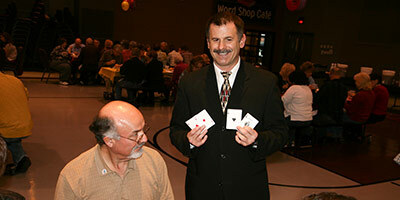 Whether you need strolling magic, a stand-up comedy magic show or my grand Magic, Mystery & Illusion show, Bradini guarantees your group will have a great time and be thoroughly entertained. Don’t delay. 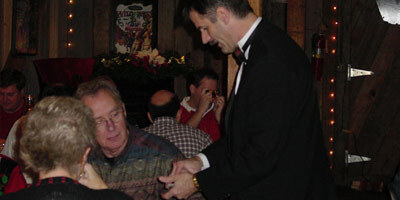 Click above to reserve your event with Bradini. Or dial 918-857-4645 to talk to Bradini directly. Bradini is an entertainment specialist with more than 30 years of experience and he will help make your event amazingly successful!